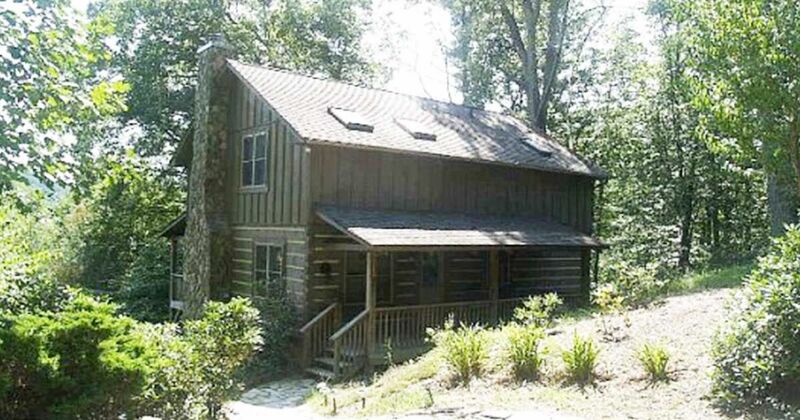 Hidden in the peaceful woodlands of North Carolina is a charming log cabin known as Angel Ridge. Upon approaching the cabin, we notice the appearance of a building which has stood the test of time - noting the passing of the years in every grain of its wood. 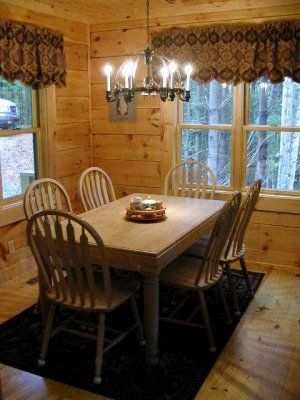 While we love to see the beauty of a well-aged cabin, often they can be in a state which is less than homely, sometimes only habitable for the true outdoorsman. This robust cabin appears strong and solid - a good foil against the elements - and a good option for a rustic vacation getaway. 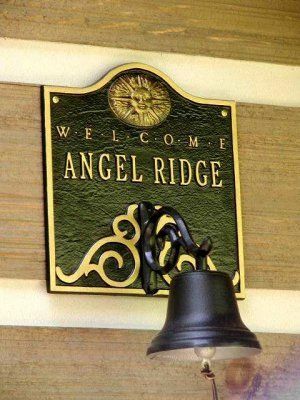 Angel Ridge has two bedrooms, two bathrooms, and is conveniently located close to Boone. Do you want to see inside? 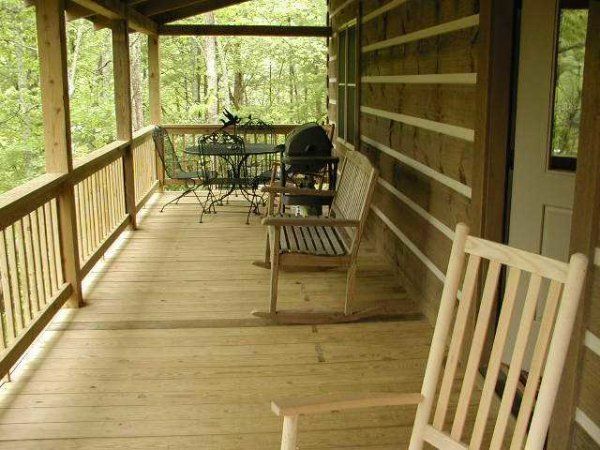 What log cabin would be complete without a front porch? This is our pastime of choice: Sitting out front in the rocking chair, filled with the sights and sounds of nature. The living room is a cozy space with lots of comfortable furniture - perfect for sinking into at the end of a satisfying day. By night, the log fire creates a cozy, idyllic scene. 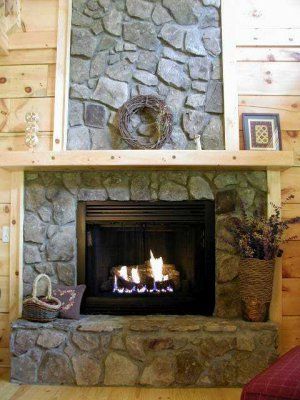 The fire is the heart of any log home. 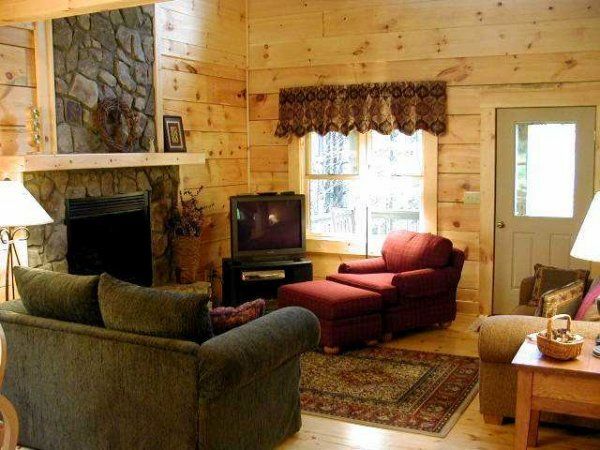 Let this attractive stone fireplace be the central point of your family's vacation. The kitchen is a simple, modern cooking space which offers everything you need to prepare a meal. 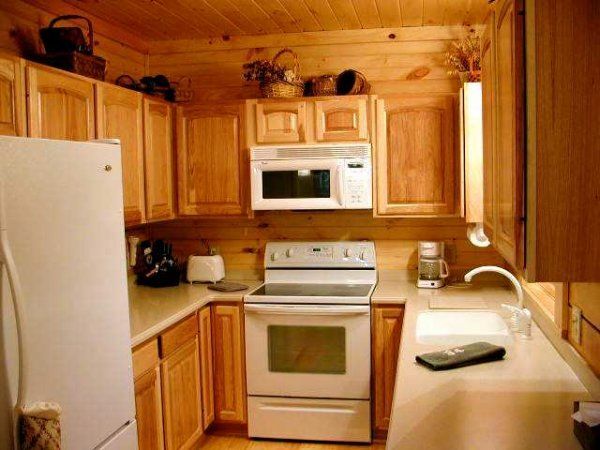 The contemporary appliances add functionality to the room, while the overall styling is in-keep with the log cabin theme. The dining table is bordered by large windows which serve inviting views of the surrounding woodlands. The master bedroom is located on the upper floor. 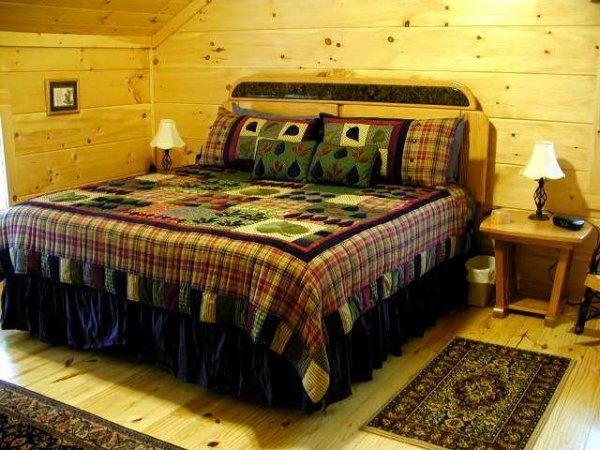 It is a warm and inviting place to sleep, filled with the pleasing smell of wood. On the main level, the second bedroom has plenty of room for twin beds and accompanying furniture. 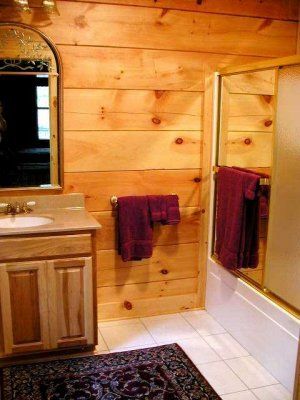 The bathrooms are elegant wash spaces which are bright and clean. The tiled floor is an intelligent addition which doesn't detract from the wood theme. 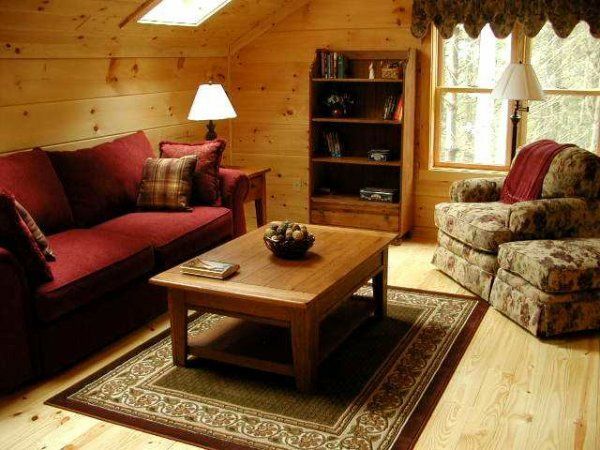 The upper floor includes a second sitting space which is immediately comforting. It is perfect for those who appreciate a little alone time. I could imagine myself curled up on that sofa with a good book. Taking a look from outside the house, it is clear to see just how large the covered deck area is. 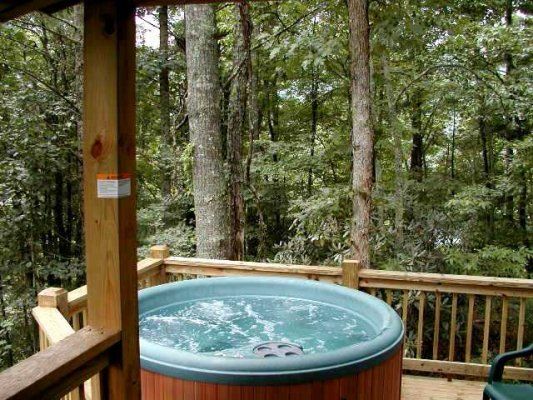 The deck even includes a hot tub! 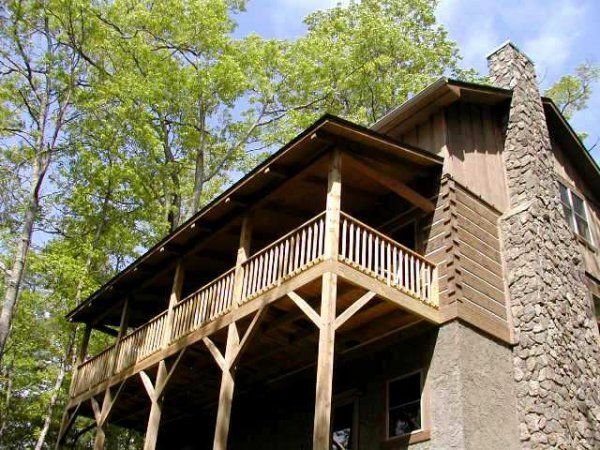 Did you enjoy the tour of this rustic log home? SHARE it with your friends on Facebook.